EEE-YIP! The SGRhos In New York do not play! 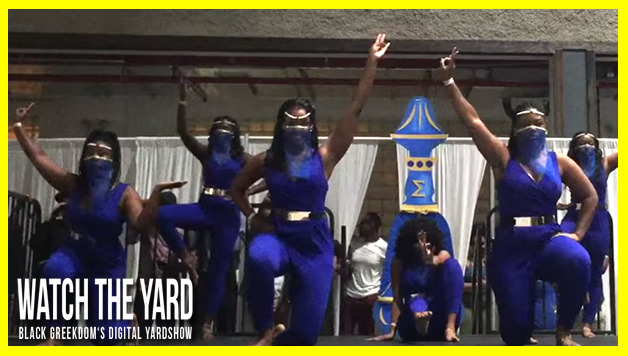 WatchTheYard.com sent our cameras to the Greekdom NYC Stroll Off competition last night in New York and saw some great performances. The SGRhos looked great and had AMAZING costumes! Make sure to check out their second genie themed performance! Click on the arrow below to move to the next page to see their Round 2 performance!